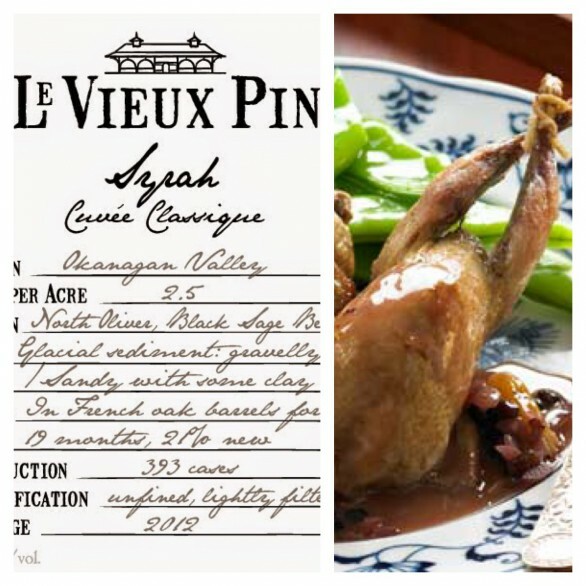 Food – Rasoul’s recipe suggestion is a Pink Peppercorn and Fennel Seed Stuffed Quail Roast. Recipe courtesy of Fabio Viviani. For the Forcemeat & the Quail: In a large bowl mix together all ingredients. Place into a piping bag & stuff quail not too much as it will come out of the bottom. Fold legs & wings across each other & tie with butcher’s twine (this will help keep filling inside). Season quail with olive oil, dijon mustard, & herbs. Roast quail at 350 degrees until golden brown & chicken in middle is cooked through about 30-45 minutes. For the Caramelized Brussels Sprouts & Cauliflower: Heat up a large sauté pan until smoking. Add a little bit of olive oil & caramelize Brussels sprouts. Toward the end add cauliflower & season with salt & pepper. For the Bourbon Reduction: Add bourbon to a sauce pot & cook at medium to high heat, careful as the liquid might ignite (if this does happen no problem just make sure nothing catches on fire). Once liquid has reduced by 3/4 turn heat to medium low & slowly add butter whisking until nice & thick. Add veal demi glacé & season with salt & pepper. To Plate: Place Brussels sprouts & cauliflower in middle of plate. Top with crispy quail & drizzle sauce top & around the plate. Serve & enjoy.